Purchasing a home is a huge financial decision. For most people, it will be the biggest purchase they ever make. Buying a home can be an exciting time and yet very stressful because of all the steps and unknowns involved in the process. For all but the most diligent home buyer, it is not uncommon for problems to be discovered after the purchase has closed and move-in day has long since passed. Issues with a home purchase could take days, weeks, or even years to rear its ugly head. Water damaged siding or flooring, leaking roofs, leaking plumbing, leaking appliances, faulty sewer pipes or septic systems, mold, cracked foundations, damaged wiring; all of these are the stuff of every home buyer’s worst nightmares. Often, confronted with costly repairs, individuals want to know whether they will have to shoulder the entire burden of fixing the damage. When potential clients reach out to our office for legal advice they usually want to know if they can sue the previous owners for fraud, misrepresentation or failure to disclose the problems with the property. Even though this is a valid question, proving wrongdoing on the part of the seller can be challenging. Let’s address some reasons why and what you as the buyer can do to protect yourself in the future. Proving wrongdoing on the part of the seller can be challenging. Let’s address some reasons why and what you as the buyer can do to protect yourself in the future. When issues arise with a home purchase, most people look to the seller disclosure form they received (sometimes called a “form 17”). After all, these disclosures are required by law, so the seller must be liable for missing or incorrect information, right? Not necessarily – reliance on seller disclosures after the sale has closed is misplaced because the seller disclosure forms are not considered a warranty. Also, errors based on information from third parties is also not a basis for liability on the part of the seller under RCW 64.06.050(1). For example, if the seller had an inspection done for structural damage by wood destroying organisms and the inspector’s report incorrectly states that there is no such damage, the seller is not liable for including that incorrect information in the seller disclosure statement as long as the seller doesn’t have actual knowledge that the inspector was mistaken. A better place to look would be the Purchase and Sale Agreement for the home. If that agreement states that the buyer is accepting the home in its “as-is” condition, and/or specifically excludes warranties, the home buyer generally cannot recover any damages arising from the purchase unless the buyer can show that the seller owed an independent duty to the buyer outside the contract. That is, did the seller owe the buyer a legal duty even if they had not entered into the Purchase and Sale Agreement? For example, the duty of care to avoid causing personal injury to another person. A personal injury claim is different than a breach of contract claim. Generally, Washington follows the “buyer beware” rule. The Seller will only be liable for defects in the home to the extent the Purchase and Sale Agreement provides a basis for the Buyer’s claims. Otherwise, although the Buyer did not get the quality of house that they thought they would receive, the Buyer has not sustained a personal injury under the law and will not prevail on a contract dispute or with a personal injury suit. Personal injury damages related to the property must be completely beyond anything contemplated or covered by the contract. While making a case for damages against a seller based on the seller disclosure form is challenging, it is not impossible. 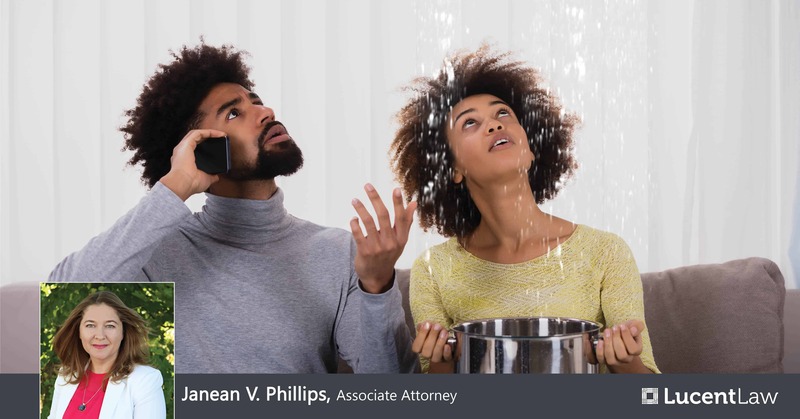 Here are two potential causes of action outside of the contract for a person with a defective home to consider. The Buyer suffered damages caused by the reliance. liberal inspection contingency clauses with objection procedures. A lawsuit would fail because the Buyer cannot meet their burden to show they were reasonable in their reliance. Additionally, the Buyer cannot meet this burden where there is evidence they have failed to inspect the property, or they were notified of defects by an inspector or saw evidence of defects during their inspection, and closed on the purchase anyway. The defect would not have been revealed by a careful reasonable inspection. Proving the Seller’s pre-existing knowledge of the defect is the most difficult part of a fraudulent concealment case. Because it is very difficult for a Buyer to make a successful case against the Seller for defects in a home, the only real protection you can get is to be diligent and cautious before buying the home. In order to protect yourself, your first step involves the Purchase and Sale Agreement. Did you read it? Did you understand all the terms? If not, seek experienced legal counsel for a thorough review and explanation. Next, the wise home buyer will take the extra steps to not only hire a very thorough home inspector, and read every detail of their inspection contract and inspection report, but will also carefully examine every closet, attic, and crawl space themselves. Since most home inspectors don’t include certain elements of the home, it is often wise to get a specialist inspector or contractor to inspect those elements, such as the roof, furnace, sewer line, or heat pump/AC unit. Because it is very difficult for a Buyer to make a successful case against the Seller for defects in a home, the only real protection you can get is to be diligent and cautious before buying the home. Furthermore, it is sometimes necessary to conduct additional inspections, if the initial inspection indicates a potential problem. Typically, home inspectors will not do “destructive” or “invasive” investigations; i.e., they won’t go below the surface – they just point out the indication of a potential problem. For example, water stains can be a sign of hidden dry rot or mold. It is therefore sometimes necessary to engage a contractor, with the seller’s permission, to dig deeper to see the true nature and extent of the problem, by removing siding, drywall, or insulation. If the seller won’t consent to the invasive inspection, you should either terminate the purchase and sale agreement or move forward with the purchase knowing that you are buying a potential problem of unknown proportions. Don’t rely on verbal claims regarding the repair or quality of any home. Be diligent! And if you see any defects, understand that your first, best remedy is to use your inspection contingency and terminate the purchase or negotiate for repairs by the Seller before closing. If a defect is obvious and you close anyway, you’ll be the one paying for the damage! Regardless of any problems you may be experiencing with your home, or the preexisting knowledge the Seller may have had, the burden remains on you to thoroughly inspect the property. Where a Buyer fails to fulfill this duty of due diligence, they cannot meet their burden of proof and will not recover. Startup Business Law Series: How Do I Protect My Personal Assets?